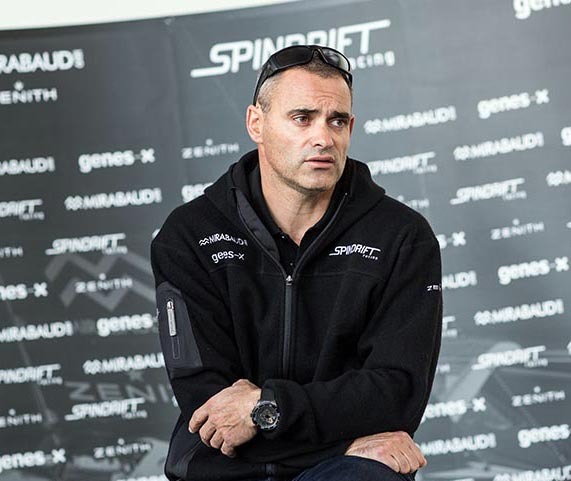 It has been a case of standing by to stand by for the crew of Spindrift Racing as they wait for a perfect weather window to slingshot them to the equator and beyond that non-stop around the world on a quest to set a new world record for the fastest circumnavigation time. However, it looks like their wait may be over as the team has found a brief opening and are preparing to leave France tomorrow morning to start their record attempt. 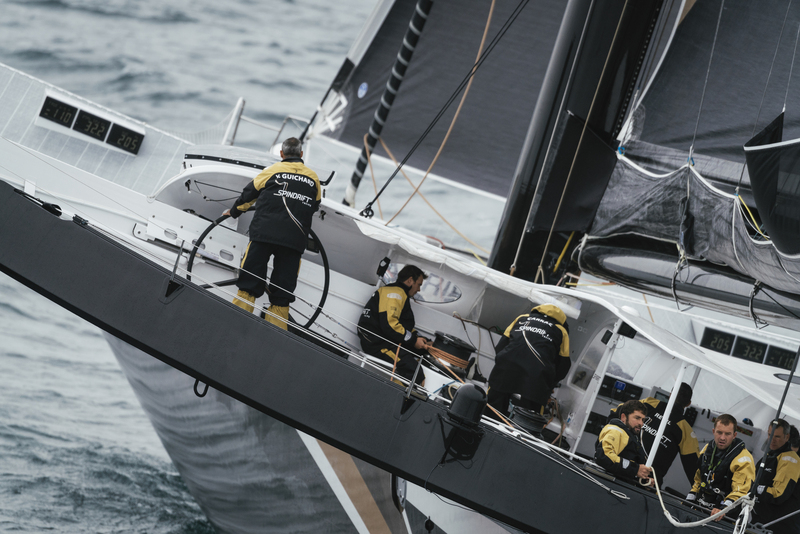 “We have been on stand-by since November 5 but there has been no real opportunity to get around the world quickly,” said Spindrift skipper Yann Guichard. The weather models are excellent and the teams weather routers have a pretty good idea of what they may expect for the first 10 or 12 days, but after that it’s a bit of a crap shoot. The key is to hurtle down to the equator, hopefully without much delay in the doldrums, and if they make it in their anticipated time of around five days they should be able to hook into a system in the South Atlantic which will whip them around the St Helena High and could allow the team to cross the longitude at the Cape of Good Hope in less than twelve days. That would be a good start but they know, as do most sailors, that the Southern Ocean can dish up some crazy weather. A year ago this week they were setting off to try and set a new record but they didn’t even get to start. The massive wing mast broke and had to be cut away to prevent it from damaging the boat. At the time they were sailing at 15 to 18 knots in 30 knot westerly winds with ten foot seas. Nothing too serious when compared to what the would encounter on their record attempt. But that was it and they were towed back to land with the attempt for the year scuttled. I am sure that this will be on the minds of the 12 sailors as the work their way toward the start line which is an imaginary line off Ushant (or in French Ouessant), a small island off the northwest coast of France. There is no start gun; they are tracked by satellite and the clock starts ticking down the second they cross the line. They will need to circumnavigate the world leaving Cape Horn to port and return to Ushant in less than 40 days, 23 hours, 30 minutes and 30 seconds, the current record time held by fellow Frenchman Francis Joyon who, along with his team, set that blistering pace two years ago. “We are twelve aboard on this attempt compared to fourteen in 2015,” said Guichard. “On paper our trimaran has the same potential as Joyon’s multihull and perhaps, under certain conditions with a weather similar to his, we will be able to break the record. However, all the stars must be aligned…” Truer words have not been spoken. There are many potholes in a 25,000 nautical mile lap of the planet.